Your Friday prompt for Stream of Consciousness Saturday is “call.” Use the word “call” or any word that contains those letters in that order. Have fun! Pingback: Stream of Consciousness Saturday — call 8.4.18 – wtf Am I On About Now? I’m sorry my comment is such a mess, I obviously pasted twice. But it works! Haha! That’s okay. Thanks for linking, Pamela! 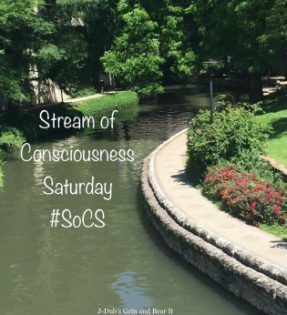 Pingback: Stream of Consciousness Saturday – Call – You Can Always Start Now! Pingback: Calling a Soulmate (Or Any Heart’s Desire) | Anything is Possible!